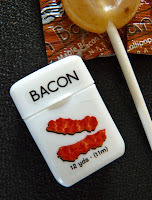 Today was Day #7 of Chocolate and Bacon Theme Week. 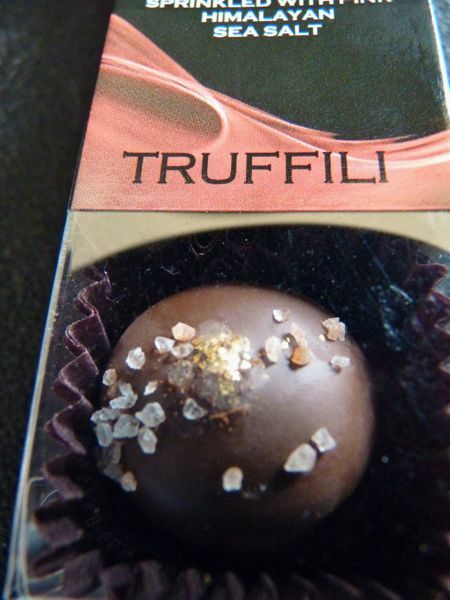 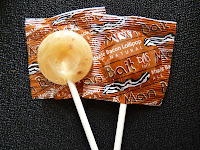 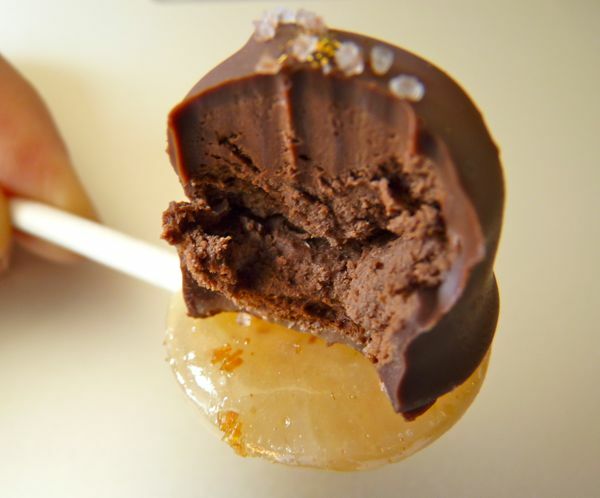 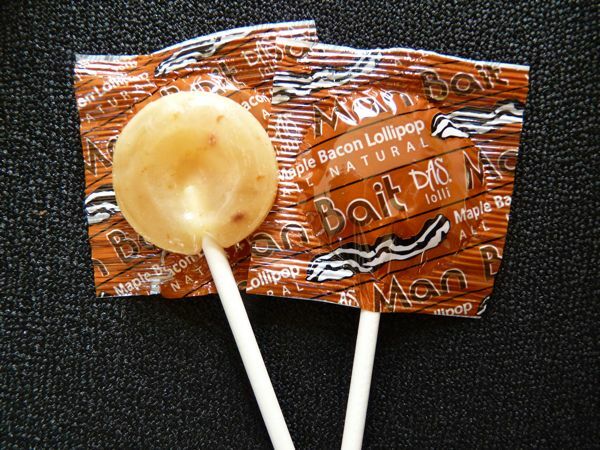 These maple-based lollipops, from Das Foods LLC, had tiny, visible flecks of bacon embedded in them, and were not bad -- a refreshing change from fruit flavored 'pops -- and much more appealing than the suckers with the (gummy and real) bugs/worms in them. There was no real bacon taste that I could detect when I used this Bacon floss, but the 3-piece Breakfast Floss set (Waffles, Bacon, and Coffee) was a clever offering.